The renewable energy from Ukraine is going global as their biggest organization in the clean energy sector is now part of the worldwide infrastructure that has the purpose of providing 100% of the electric power we neeed. As the Ukrainian association’s President, Vitaliy Daviy, claims, this collaboration between them and the Association of Global 100% Renewables can result in creating a sure path for the European country on the road to the global energy community but also to develop a place where people contribute to the growth of renewable energy at a national level. “Today as never before, Ukraine needs an active and effective implementation of the sustainable development principles in the energy sector, in particular in the development of renewable energy. Ukraine is tied to Russia in accordance with gas supply and nuclear fuel. The only way to avoid this destructive addiction is a fundamentally new model of energy supply for the country. Global Initiative 100% Renewables aims to complete rejection of the world economy from traditional fuels and energy. This is our vector of the development,” reports the head of APEU . One of the most remarkable personalities of Global 100% Renewables is the person who created the European legislative “green” tariff model for the development of renewable energy, also former member of the Bundestag Hans-Josef Fell. He believes that Ukraine’s best solution for independence is green energy, in addition the rejection the Russian gas and the diminishment of nuclear energy. This being said, the collaboration between APEU and Global 100 % Renewables can be an important incentive for the fulfillment of this strategy. “Gas and oil dependence of Ukraine has always been one of the key reasons of political crises in the country. 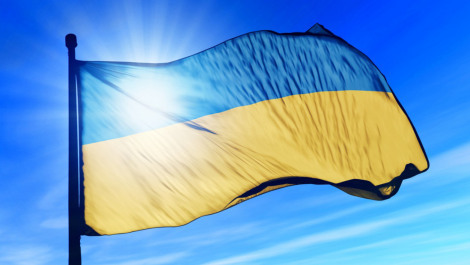 Wind and solar power, biogas production can potentially make Ukraine independent of energy imports in a few years. Moreover, the development of renewable energy is a very efficient way to promote the overall growth of the national economy,” as international experts announce. well away from the room where it’s installed, quite a complicated and critical affair.